Celebri-tea: Lil Wayne Ex Toya Wright is PREGNANT 🤰🏽 – What's in your cup? Weight gain or baby weight gain? 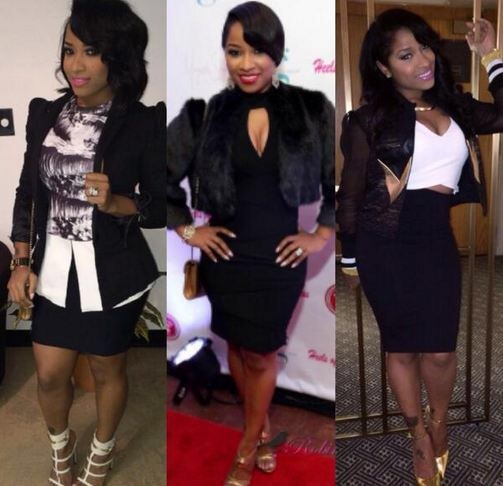 Questions surfaced all over the internet recently was Toya Wright getting thick Or was she pregnant? Well the results are in it has been reported that Toya Wright is currently pregnant with her second child. Now other questions that have been asked “is it Lil Wayne’s or her current ex husband’s Memphitz baby”? Sources tell us that the 33 year-old author and reality tv start is excited about her bundle of joy. Little is known about the child’s father, but we hear that this little blessings father is her boyfriend that she’s been involved with for about a year now. It has been reported that he’s a sports manager/agent, who manages high level athletes. She’s keeping her public appearances to a minimum because she’s really starting to show. So it’s out people thought she was just gaining weight but Toya Wright is now carrying for two.